Hi I am posting this after spending a while banging my head against an issue with dynamic dates. 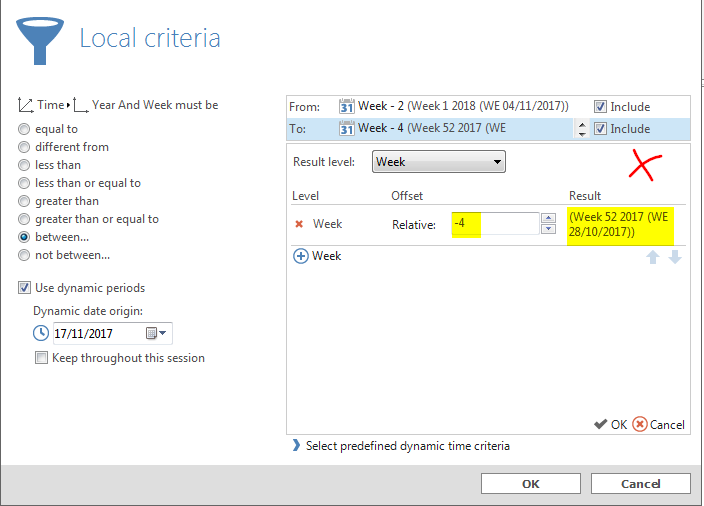 I am trying to define some criteria to show aggregations for a number of previous fiscal weeks. 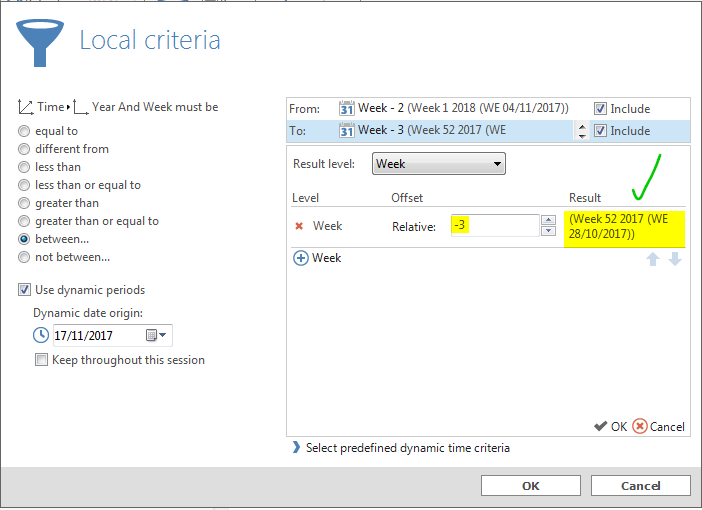 I am using the offsets to specify year and week times but there comes a point where the offset doesn't make a difference. e.g. 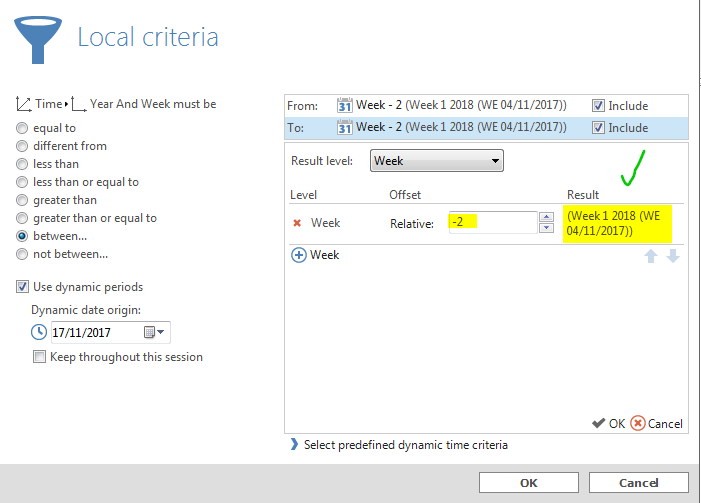 Week - 4 resolves to (Week 52 2017 (WE 28/10/2017)) - shouldn't it be week 51? It follows this pattern for every offset beyond what resolves to week 52. Does anyone know what I've got wrong here? Since you haven't got any reply to this yet, I think it is better to take it to the official TARGIT support (accessible from the TARGIT web page). Some times, these dynamic criteria related to an offset fiscal year may be quite a pain to resolve.